Get on BoxCycle in One E-Mail! All boxes are acceptable provided they meet our minimum quality standards. Counting/sorting is not required when listing; conservative guess is OK.
You can edit box prices and options using Advanced List or after signing up. Enter exact dimensions of your boxes (rounded to the nearest inch). Or list by box type without dimensions. For full options try Advanced List. In order of Length, Width, and Height. Length is the larger of the two dimensions of the face with flaps and Width is the smaller. Height is perpendicular to Length and Width. 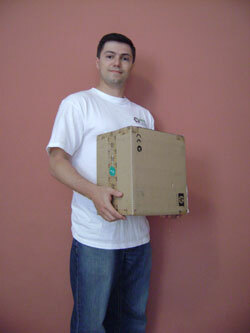 Dimensions are measured from inside the box and are specified in whole inches. 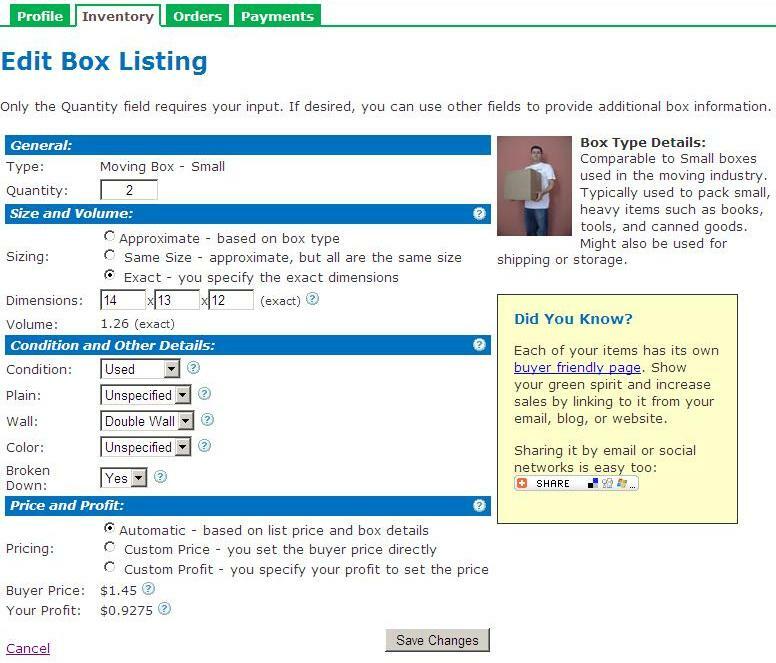 We'll automatically determine the Box Type and List Price from dimensions you specify. Select types that best match your boxes in size and purpose. Moving Box - Extra Small $0.50 12x12x12, 1.0 (approx) Comparable to Cube/Book/Extra Small boxes used in the moving industry. Typically used to pack very heavy or fragile items such as books, crystal, and glassware. Might also be used for shipping or storage. 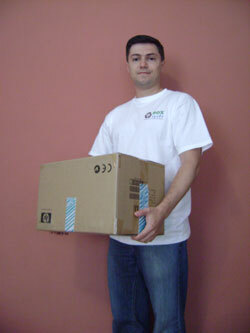 Moving Box - Small $0.75 16x12x12, 1.5 (approx) Comparable to Small boxes used in the moving industry. Typically used to pack small, heavy items such as books, tools, and canned goods. Might also be used for shipping or storage. Moving Box - Medium $1.00 18x18x16, 3.0 (approx) Comparable to Medium boxes used in the moving industry. Typically used to pack items of medium size and weight such as kitchenware, toys, and small electronics. Might also be used for shipping or storage. 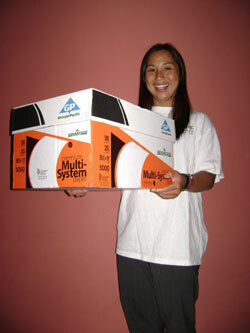 Moving Box - Large $1.00 18x18x24, 4.5 (approx) Comparable to Large boxes used in the moving industry. Typically used to pack larger, lighter items such lamp shades, speakers, and clothing. Might also be used for shipping or storage. 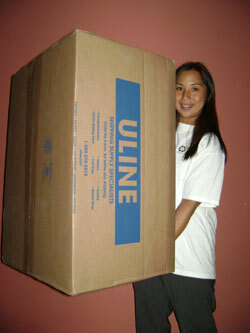 Moving Box - Extra Large $1.25 24x18x24, 6.0 (approx) Comparable to Extra Large boxes used in the moving industry. Typically used to pack bulky, lightweight items such as comforters, pillows, and stuffed animals. Might also be used for shipping or storage. Lamp Box $2.00 12x12x40, 3.3 (approx) Typically used for moving and shipping tall items such as lamps, plants, baseball bats, and telescopes. Golf Club Box $2.50 15x15x48, 6.25 (approx) Typically used for moving and shipping tall items such as golf clubs, tall plants, speakers, and tents. Mirror Box - Small $1.25 30x5x24, 2.08 (approx) Designed for moving framed artwork, mirrors, glass shelves, and other narrow items. Mirror Box - Medium $2.00 36x5x30, 3.1 (approx) Designed for moving framed artwork, mirrors, glass shelves, and other large, narrow items. Mirror Box - Large $2.50 36x6x42, 4.7 (approx) Designed for moving framed artwork, mirrors, glass shelves, and other large, narrow items. Dish Pack Box - Double Wall $2.50 18x18x28, 5.2 (approx) Sturdy, extra strength, double-walled boxes used for moving and shipping fragile items such as antiques, plates, and vases. Special partitions are often necessary to secure items inside the box, but might not be included. Wardrobe Box - Flat $2.50 36x21x10, 4.4 (approx) Designed to allow clothing to be placed in the box while still on hangers for easy packing and unpacking. Might also be used for shipping or storage. Wardrobe Box - Short, With Bar $3.50 24x20x34, 10.1 (approx) Designed to allow easy packing of clothing in closets and dressers - simply move the clothing and hang it in the box. Clothing stays secure and wrinkle-free until you are ready to unpack it. Wardrobe Box - Short, No Bar $1.50 24x20x34, 10.1 (approx) Short Wardrobe Box without the hanger bar. The bar would need to be purchased separately for this box to be used to hang clothing. Wardrobe Box - With Bar $6.00 24x20x48, 13.33 (approx) Designed to allow easy packing of clothing in closets and dressers - simply move the clothing and hang it in the box. Clothing stays secure and wrinkle-free until you are ready to unpack it. Wardrobe Box - No Bar $2.75 24x20x48, 13.33 (approx) Wardrobe Box without the hanger bar. The bar would need to be purchased separately for this box to be used to hang clothing. Bicycle Box $5.00 54x8x28, 7.0 (approx) Extra strong box made specifically for safely shipping bicycles. Mattress Box - Baby Crib $2.50 28x6x52, 5.1 (approx) Designed to keep mattress or box spring clean and dry during moving or storage. Mattress Box - Twin Size $3.50 39x8x75, 13.5 (approx) Designed to keep twin size mattress or box spring clean and dry during moving or storage. Mattress Box - Full Size $4.50 54x8x75, 18.75 (approx) Designed to keep full size mattress or box spring clean and dry during moving or storage. Mattress Box - King/Qn Pillowtop Size $7.00 80x14x79, 50.61 (approx) Adjustable to fit either King or Queen size mattress. Extra thickness to accomodate a pillowtop mattress. Box - 3-8" $0.10 7x6x5, 0.12 (approx) Rectangular shipping box with longest side of 3-8". Volume will vary based on dimensions. Box - 9-11" $0.20 10x8x6, 0.25 (approx) Rectangular shipping box with longest side of 9-11". Volume will vary based on dimensions. Too small for moving. Box - 12-13" $0.30 12x7x7, 0.35 (approx) Rectangular shipping box with longest side of 12-13". Volume will vary based on dimensions. Too small for moving. Box - 14-17" $0.50 14x12x10, 0.95 (approx) Rectangular shipping box with longest side of 14-17". Volume will vary based on dimensions. Box - 18-23" $0.75 19x14x12, 1.83 (approx) Rectangular shipping box with longest side of 18-23". Volume will vary based on dimensions. Perfect for moving, shipping, and storage. Box - 24-26" $1.50 26x24x22, 7.85 (approx) Rectangular shipping box with longest side of 24-26". Volume will vary based on dimensions. Perfect for moving, shipping, or storing large items. Box - 27-32" $2.00 30x28x22, 10.7 (approx) Rectangular shipping box with longest side of 27-32". Volume will vary based on dimensions. Perfect for shipping or storing large items. Box - 33-37" $2.75 36x24x24, 11.86 (approx) Rectangular shipping box with longest side of 33-37". Volume will vary based on dimensions. Perfect for shipping or storing large items. Box - 38-48" $4.40 42x28x26, 17.7 (approx) Rectangular box with longest side of 38-48". Volume will vary based on dimensions. Perfect for shipping or storing large items. Box - 49+" $6.00 60x45x35, 54.69 (approx) Shipping box with longest side of 49" or more. Volume will vary based on dimensions. Perfect for bulk shipments. Shoe Box $0.30 14x8x5, 0.26 (approx) Typical box that shoes are sold in. Separate base and lid. Perfect for storing small items such as photographs and receipts. Gift Box $0.20 6x4x4, 0.06 (approx) Attractive box designed for gifts and retail products. Usually has thiner cardboard and glossy finish. Orthodontic Model Box $0.50 10x4x2, 0.05 (approx) Attractive, durable boxes designed for orthodontic models. Dividers are optional. Milk Crate $3.00 13x11x11, 0.91 (approx) Sturdy, stackable plastic crate. Foam Container $3.50 13x11x11, 0.91 (approx) Insulated foam container. Paper Ream Box - Letter $1.10 17x12x9, 1.06 (approx) Typical box reams of paper are sold in. Can be used as a substitute for Letter Size File Boxes. Separate lid and base. Often double-wall, stackable, with carrying handles. Good for moving and storage. File Box - Letter $1.70 24x12x10, 1.67 (approx) File box for storing letter size documents. Separate lid and base. Usually double-wall, stackable, with carrying handles. Good for moving and storage. File Box - Legal $2.10 24x15x10, 2.06 (approx) File box for storing legal size documents. Separate lid and base. Usually double-wall, stackable, with carrying handles. Good for moving and storage. Bankers Box - Letter $4.00 24x12x10, 1.67 (approx) Bankers Box brand storage box in Letter size. Very strong. Designed for frequent retrieval, high stacking, security, and dust and dirt-free storage. Bankers Box Storage Drawer $8.00 24x15x11, 2.29 (approx) Bankers Box brand storage drawer box that creates an instant file cabinet. Features a strong, metal reinforced frame and an attached handle. Corrugated Bin $0.50 8x12x4, 0.22 (approx) A cardboard bin that helps organize shelves. Similar to a box without a top and a low front for easy access to contents. Narrow Box - 3-8" $0.10 6x6x2, 0.04 (approx) Narrow shipping box with longest side of 3-8". Volume will vary based on dimensions. Narrow boxes have a large difference between shortest and longest sides. Narrow Box - 9-11" $0.20 10x10x2, 0.11 (approx) Narrow shipping box with longest side of 9-11". Volume will vary based on dimensions. Narrow boxes have a large difference between shortest and longest sides. Perfect for electronics, clothing, frames, mirrors, and spools of wire. Narrow Box - 12-13" $0.30 12x10x4, 0.27 (approx) Narrow shipping box with longest side of 12-13". Volume will vary based on dimensions. Narrow boxes have a large difference between shortest and longest sides. Perfect for electronics, clothing, frames, mirrors, and spools of wire. Narrow Box - 14-17" $0.50 15x15x4, 0.51 (approx) Narrow shipping box with longest side of 14-17". Volume will vary based on dimensions. Narrow boxes have a large difference between shortest and longest sides. Perfect for electronics, clothing, frames, mirrors, and spools of wire. Narrow Box - 18-23" $0.75 18x14x6, 0.9 (approx) Narrow shipping box with longest side of 18-23". Volume will vary based on dimensions. Narrow boxes have a large difference between shortest and longest sides. Perfect for electronics, clothing, frames, mirrors, and spools of wire. Narrow Box - 24-26" $1.10 24x13x6, 1.1 (approx) Narrow shipping box with longest side of 24-26". Volume will vary based on dimensions. Narrow boxes have a large difference between shortest and longest sides. Perfect for electronics, clothing, frames, mirrors, and spools of wire. Narrow Box - 27-32" $1.20 28x16x7, 1.79 (approx) Narrow shipping box with longest side of 27-32". Volume will vary based on dimensions. Narrow boxes have a large difference between shortest and longest sides. Perfect for electronics, clothing, frames, mirrors, and spools of wire. Narrow Box - 33-37" $1.30 35x23x8, 3.68 (approx) Narrow shipping box with longest side of 33-37". Volume will vary based on dimensions. Narrow boxes have a large difference between shortest and longest sides. Perfect for electronics, clothing, frames, mirrors, and spools of wire. 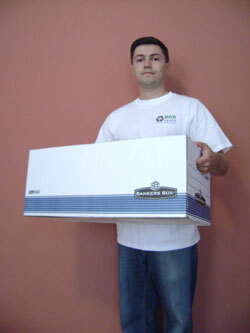 Narrow Box - 38-48" $1.50 40x16x12, 4.3 (approx) Narrow shipping box with longest side of 38-48". Volume will vary based on dimensions. Narrow boxes have a large difference between shortest and longest sides. Perfect for poles, lamps, frames, mirrors, and spools of wire. Narrow Box - 49+" $2.00 12x12x52, 4.33 (approx) Narrow shipping box with longest side of 49" or more. Volume will vary based on dimensions. Narrow boxes have a large difference between shortest and longest sides. Perfect for poles, lamps, frames, fishing poles, and carpets. Art Shipper - Lined $20.00 19x24x2, 0.52 (approx) Heavy duty, lined box for shipping valuable artwork. Includes protective foam. Dimensions indicate max frame size. Not flattened. Laptop Box - Small Padded Mailer $5.00 14x12x4, 0.39 (approx) Strong, front lock tabs mailer for laptops or other electronics up to 13x11x2.5 inches. Protects the item with anti-static foam (included). Not flattened. Laptop Box - Large Padded Mailer $6.00 18x14x4, 0.58 (approx) Strong, front lock tabs mailer for laptops or other electronics up to 17x12x2.5 inches. Protects the item with anti-static foam (included). Not flattened. Laptop Box - Retension Shipper Kit $5.50 19x17x5, 0.93 (approx) Absorbs shock and protects laptops (between 15 and 17 inches) and other electronics during shipping. Item is kept in place with flexible film. Includes retention insert and outer box. Not flattened. Laptop Box - Small Suspension Kit $6.00 17x17x8, 1.34 (approx) The best protection. Uses 2 inserts with flexible film (included) to float the item protecting it from vibration. Not flattened. Laptop Box - Large Suspension Kit $8.00 20x20x7, 1.62 (approx) The best protection. Uses 2 inserts with flexible film (included) to float the item protecting it from vibration. Not flattened. TV Box - 40-46" Flat Screen $8.50 46x8x30, 6.39 (approx) Heavy duty box designed for shipping 40-46" flat panel televisions. Typically double-wall, 350LB strength. Box MUST be designed for shipping, not local moves. TV Box - 50-55" Flat Screen $9.75 56x8x36, 9.33 (approx) Heavy duty box designed for shipping 50-55" flat panel televisions. Typically double-wall, 350LB strength. Box MUST be designed for shipping, not local moves. Easy Fold Mailer $0.35 10x8x1, 0.04 (approx) A precut piece of cardboard designed to fold over the object being shipped on all sides. Used for a variety for narrow items like dvds, books, and catalogs. Seller should provide exact dimensions if possible. Literature Mailer - Budget $0.40 12x9x2, 0.12 (approx) Usually narrow, with a fold-down top without front tabs. Used for a variety for narrow items like books, catalogs, and clothing. Seller should provide exact dimensions if possible. Literature Mailer - Tab Lock $0.70 12x9x2, 0.12 (approx) Usually narrow, with a fold-down top and front tabs that fold into the side walls to secure the box with little or no tape. Used for a variety for narrow items from books and CDs to frames and binders to keyboards and clothing. Seller should provide exact dimensions if possible. Literature Mailer - Carrying Handle $1.00 12x9x3, 0.19 (approx) Usually narrow, with a fold-down top and front tabs that fold into the side walls to secure the box with little or no tape. Used for carrying literature and samples. Seller should provide exact dimensions if possible. Bubble Mailer Envelope $0.10 11(l)x9(w) (approx) Envelope mailer lined with bubble wrap. Poly Mailer Envelope $0.05 11(l)x9(w) (approx) Polyethylene envelope mailer without bubble wrap. Packing Paper - Sheets $0.50/lb 24(l)x27(w) (approx) Sheets of packing paper. No newspaper or other paper with printing that might rub off. Packing Paper - Roll $0.01/ft 27(w) (approx) Roll of brand new packing paper. No newspaper or other paper with printing that might rub off. Cushion Foam - Sheets $4.00/lb 12(l)x12(w) (approx) Sheets of cushion foam. Cushion Foam - Roll $0.02/ft 12(w) (approx) Roll of brand new cushion foam. Bubble Wrap - 3/16", Roll $0.03/ft 12(w) (approx) Roll of brand new bubble wrap with bubble size of 3/16". Bubble Wrap - 5/16", Roll $0.05/ft 12(w) (approx) Roll of brand new bubble wrap with bubble size of 5/16". Bubble Wrap - 1/2", Roll $0.07/ft 12(w) (approx) Roll of brand new bubble wrap with bubble size of 1/2". Bubble Wrap - Sheets $0.50/cu ft 12(l)x12(w) (approx) Sheets of bubble wrap. Packing Peanuts - Regular $0.75/cu ft N/A Packing peanuts. 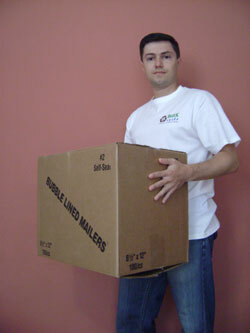 Packing Peanuts - Biodegradable $1.00/cu ft N/A Packing peanuts known for certain to be biodegradable. Air Pillows $1.50/cu ft 6(l)x4(w) (approx) Prefilled air pillow packaging. Moving Blanket $5.00 72(l)x80(w) (approx) Moving blanket or pad to protect furniture. 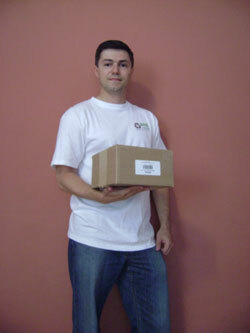 Cold Pack $0.40 6(l)x4(w) (approx) Reusable, leakproof refrigerant pack to keep shipments cold. 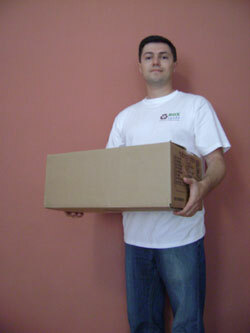 Wine Shipper With Insert - 1 Bottle $1.50 16x5x5, 0.23 (approx) Made specifically for safely shipping 1 750ml wine bottle. Includes inserts (typically styrofoam or molder fiber) that keep bottles protected and in place. Wine Shipper With Insert - 2 Bottles $2.00 15x10x5, 0.43 (approx) Made specifically for safely shipping 2 750ml wine bottles. Includes inserts (typically styrofoam or molder fiber) that keep bottles protected and in place. Wine Shipper With Insert - 3 Bottles $2.50 19x13x6, 0.86 (approx) Made specifically for safely shipping 3 750ml wine bottles. Includes inserts (typically styrofoam or molder fiber) that keep bottles protected and in place. Wine Shipper With Insert - 4 Bottles $2.75 19x13x6, 0.86 (approx) Made specifically for safely shipping 4 750ml wine bottles. Includes inserts (typically styrofoam or molder fiber) that keep bottles protected and in place. Wine Shipper With Insert - 6 Bottles $3.00 19x13x9, 1.25 (approx) Made specifically for safely shipping 6 750ml wine bottles. Includes inserts (typically styrofoam or molder fiber) that keep bottles protected and in place. Wine Shipper With Insert - 12 Bottles $3.50 19x13x12, 1.72 (approx) Made specifically for safely shipping 12 750ml wine bottles. Includes inserts (typically styrofoam or molder fiber) that keep bottles protected and in place. Magnum Shipper With Insert - 1 Bottle $2.50 16x6x6, 0.33 (approx) Made specifically for safely shipping 1 magnum 1.5L wine bottles. Includes inserts (typically styrofoam or molder fiber) that keep bottles protected and in place. Magnum Shipper With Insert - 2 Bottles $3.00 16x11x6, 0.61 (approx) Made specifically for safely shipping 2 magnum 1.5L wine bottles. Includes inserts (typically styrofoam or molder fiber) that keep bottles protected and in place. Wine Carrier Box - 12 Bottles $1.50 14x11x12, 1.09 (approx) Heavy duty double wall box designed for safely carrying up to 12 750ml wine bottles. Also popular for moving and storage. This box may, or may not, have the top side. Beer Bottle Carrier - 4 Pack $0.40 5x5x7, 0.1 (approx) A carrier for 4 12-oz glass beer or soda bottles. Beer Bottle Carrier - 6 Pack $0.50 7x5x8, 0.16 (approx) A carrier for 6 12-oz glass beer or soda bottles. Wood Wine Crate $4.00 19x13x6, 0.85 (approx) Wooden box used by wineries. Also popular for decoration and organization. Includes lid. Gaylord Box $6.00 48x40x36, 40.0 (approx) Large, heavy duty boxes designed for bulk transport. Bulk Cargo Box - Heavy Duty $10.00 48x40x36, 40.0 (approx) Heavy duty box for bulk transport. Has weight capacity of 600lbs or more. Includes lid. Wood Crate $10.00 48x40x25, 27.8 (approx) Export certified plywood crate. Plastic Crate $10.00 46x46x40, 48.42 (approx) Plastic shipping crate. C48 Case $6.00 45x28x30, 21.88 (approx) Heavy duty cardboard container. Typically used for shipping loose tobacco. D Container $20.00 58x41x45, 61.93 (approx) Heavy duty shipping containers consisting of top and bottom pieces, a removable side wall, and a 3-sided wall. Fits on an oversized pallet (not included). Fiber Drum $8.00 18x18x26, 4.01 (approx) Strong and lightweight fiber drum. Should include lid and rings. Wood Pallet - Heat Treated $6.00 48x40x5 (approx) Heat treated wood pallet. Approved for export. Plastic Pallet $7.00 48x40x5 (approx) Plastic pallet. Corrugated Sheet - 3-8" $0.05 7(l)x5(w) (approx) A rigid pad used to separate and protect items. It is usually a piece of cardboard. 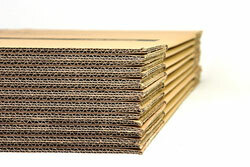 Corrugated Sheet - 9-11" $0.10 10(l)x8(w) (approx) A rigid pad used to separate and protect items. It is usually a piece of cardboard. Corrugated Sheet - 12-13" $0.12 12(l)x10(w) (approx) A rigid pad used to separate and protect items. It is usually a piece of cardboard. Corrugated Sheet - 14-17" $0.14 14(l)x11(w) (approx) A rigid pad used to separate and protect items. It is usually a piece of cardboard. Corrugated Sheet - 18-23" $0.20 20(l)x16(w) (approx) A rigid pad used to separate and protect items. It is usually a piece of cardboard. Corrugated Sheet - 24-26" $0.30 24(l)x18(w) (approx) A rigid pad used to separate and protect items. It is usually a piece of cardboard. Corrugated Sheet - 27-32" $0.40 30(l)x24(w) (approx) A rigid pad used to separate and protect items. It is usually a piece of cardboard. Corrugated Sheet - 33-37" $0.50 36(l)x30(w) (approx) A rigid pad used to separate and protect items. It is usually a piece of cardboard. Corrugated Sheet - 38-48" $0.70 42(l)x40(w) (approx) A rigid pad used to separate and protect items. It is usually a piece of cardboard. Corrugated Sheet - 49+" $1.00 60(l)x48(w) (approx) A rigid pad used to separate and protect items. It is usually a piece of cardboard. Urethane Pad $3.00 12(l)x10(w) (approx) A pad made of urethane. Moving Kit $TBD N/A What's This? If you need help creating a kit, please contact us. A group of boxes appropriate for moving. Box Pack $TBD N/A What's This? Box Pallet $TBD N/A What's This? Don't see a matching box type? Let us know!